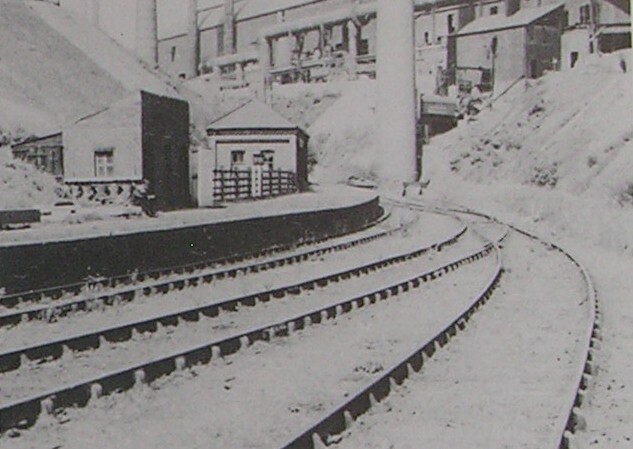 A short branch ran off the Great Western's Shrewsbury to Chester line just south of Wrexham (and just inside the Welsh border), serving a few minor stations but, more importantly, a number of collieries. 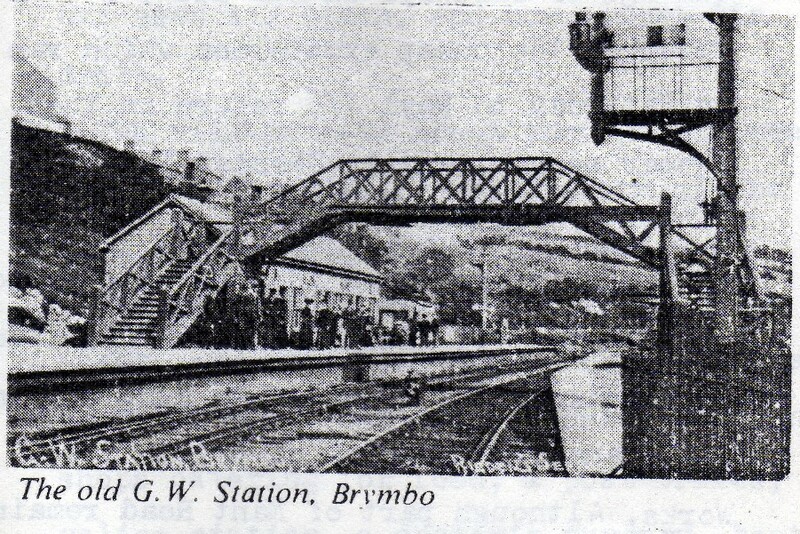 Along this branch, the location of Brymbo warranted three boxes, and in accordance with GW naming practice, these were named East, Middle and West. The Middle box was a quite sizeable structure for a relatively uncomplicated location. 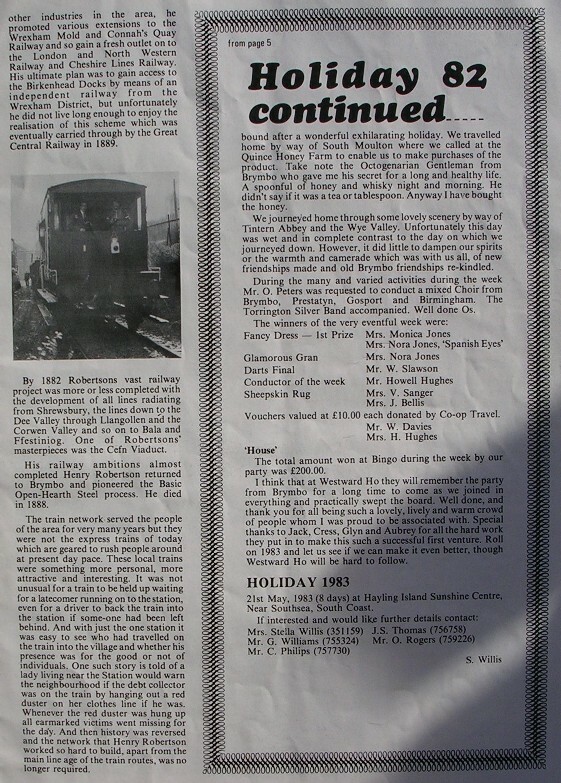 The layout was originally controlled by a 37 lever frame, although this was renewed by British Railways in 1957 with a standard Western Region frame of the type illustrated at Newtown containing 42 levers. The box itself is of a design used by the Great Western from 1889 to 1896, having a less steeply-pitched roof than the earlier types (see Moreton-in-Marsh). 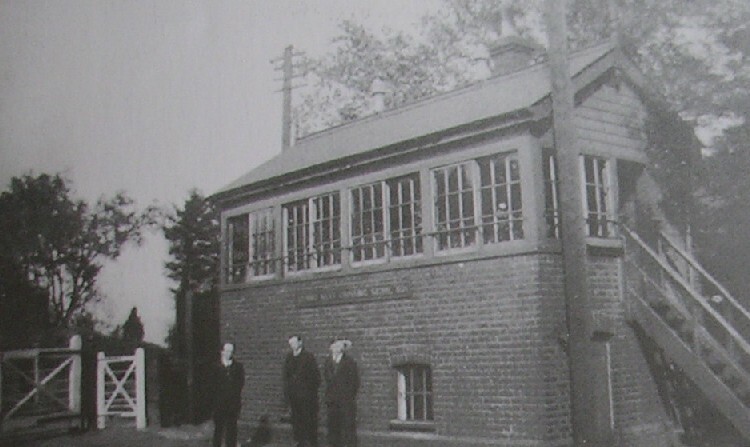 Boxes built after 1896 had gabled roofs and a different arrangement of window panes - as illustrated at Astrop and Athelney. 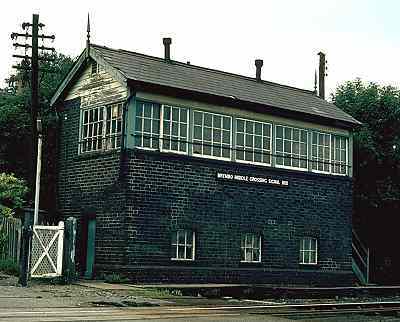 Another example of similar design to this box can be seen at Cowley Bridge Junction. 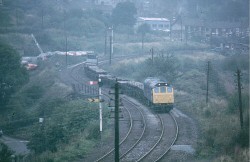 As the colliery traffic dwindled, the line became used less and less. 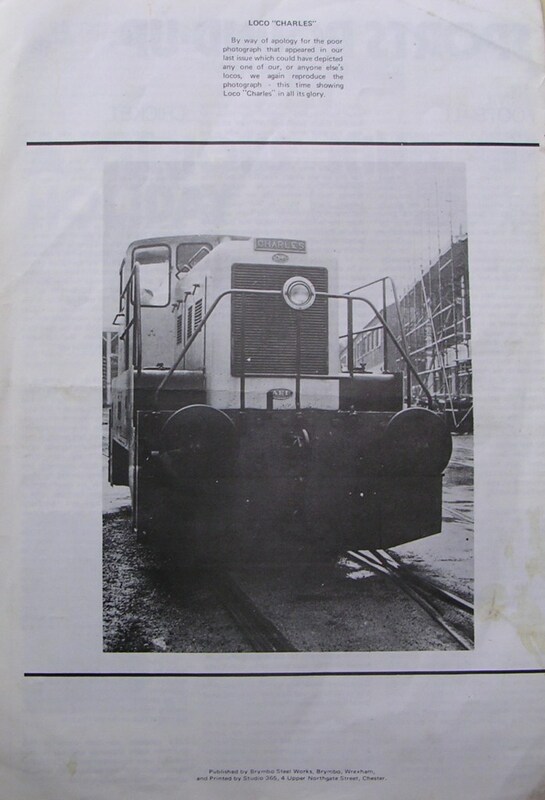 It finally fell into disuse and the box formally closed on 20th September 1982. 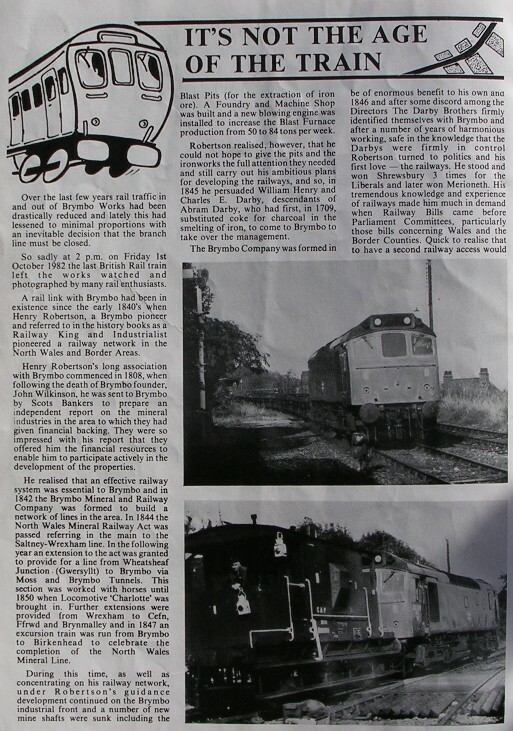 The end of steam locos came on 16th January 1956 when the first of several diesel electric locomotives was delivered and christened "Esmond". 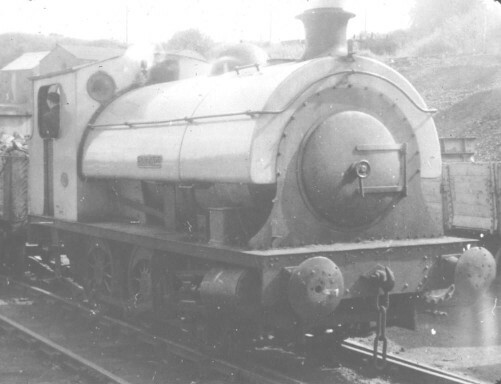 This 30 toner was built by the Yorkshire Engine Co. and had a 0-6-0 wheel set. Powered by a Rolls Royce 6 cylinder supercharged engine it delivered 200hp via a BTH RTA traction motor. 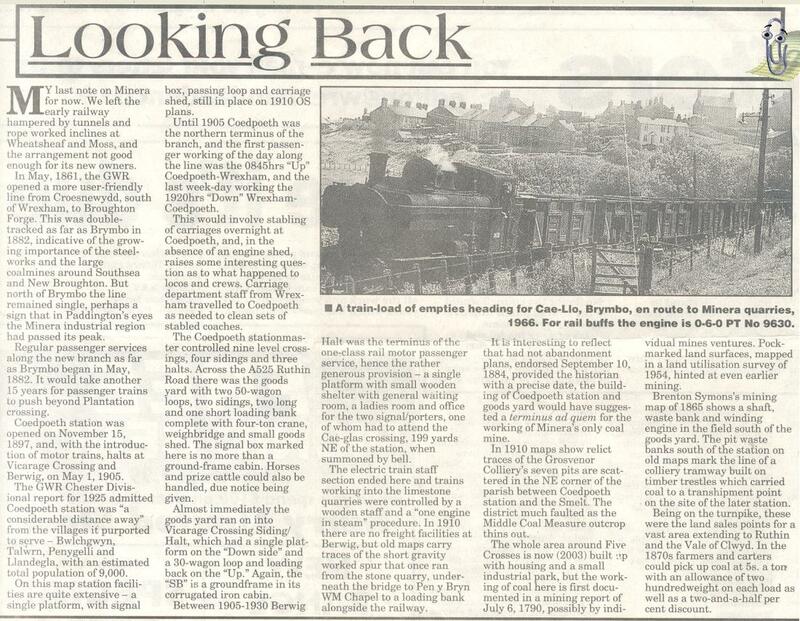 2859 was one of the last Locos to service Brymbo in the steam age Click here to read about her! 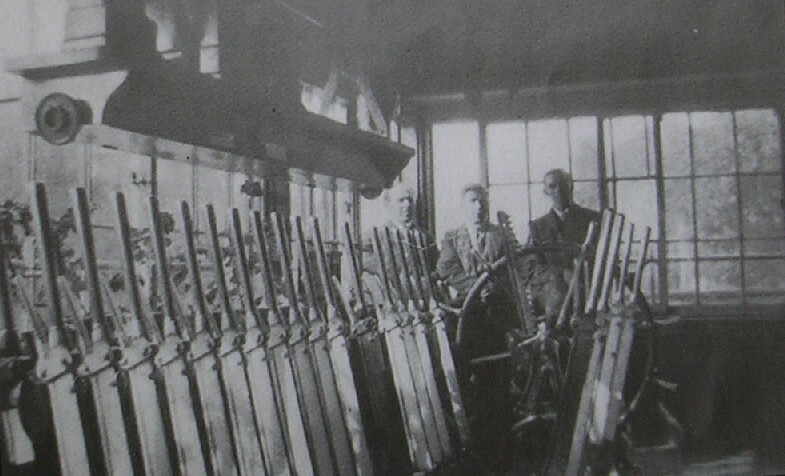 Brymbo West Signal Box Inside. 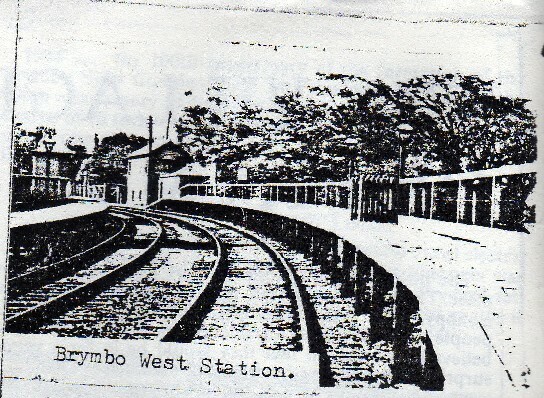 The old WM & CQ Brymbo Branch Terminus around 1900 is still a little oasis between the great Steel Works and the Great Western line. 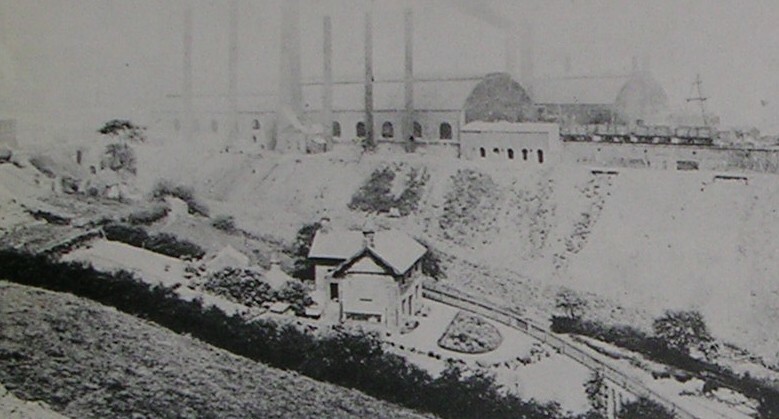 By comparison, the ever advancing slag heaps had engulfed it all by 1935.